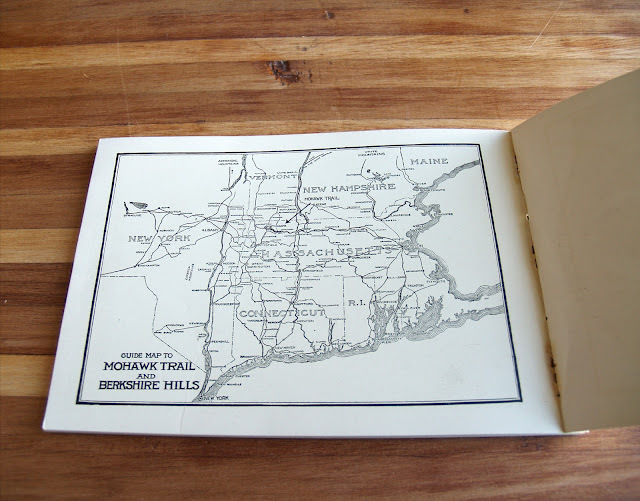 This souvenir guidebook of the Massachussets State Highway's Mohawk Trail has a beige heavy paper cover with black, yellow and green printed illustration. 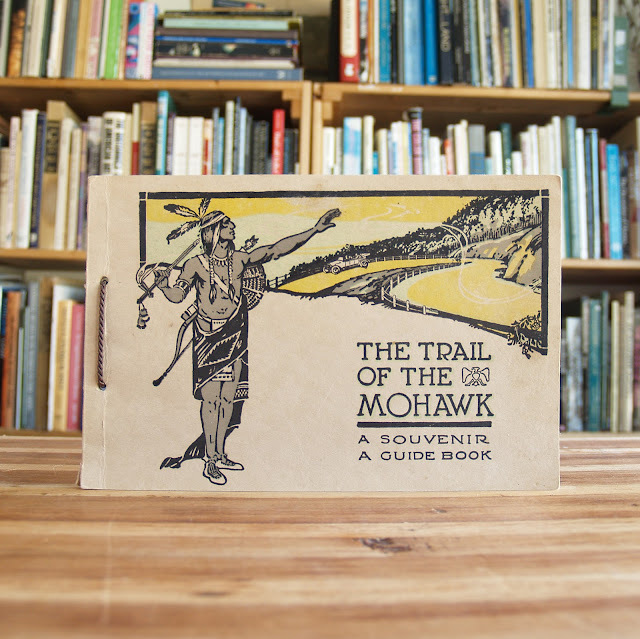 The Mohawk Trail began as a Native American trade route which connected Atlantic tribes with tribes in Upstate New York and beyond. 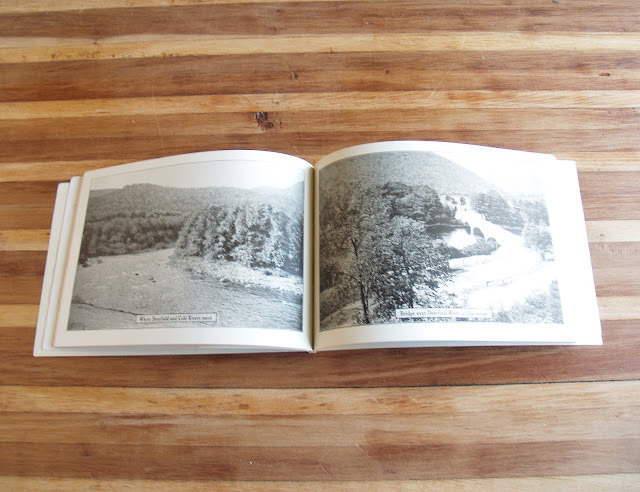 It followed the Millers River, Deerfield River and crossed the Hoosac Range, in the area that is now northwestern Massachusetts. Today the Mohawk Trail is a part of Routes 2 and 2A. It follows much of the original Indian trail, from Westminster, Massachusetts to Williamstown, Massachusetts, for about 69 miles and passes through the communities of Orange, Erving, Gill, Greenfield, Shelburne, Buckland, Charlemont, Savoy, Florida and North Adams. The Berkshire mountains are clearly visible from several points. The modern day Mohawk Trail is considered one of the most beautiful drives in Massachusetts. Bound with a heavy brown cord tied in a bow. No date; presumed circa 1920-1930 or thereabouts. 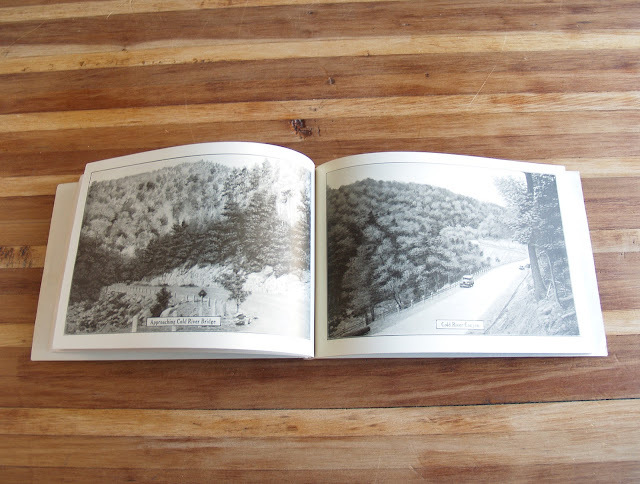 The book consists mainly of black-and-white photos illustrating points of interest along the Mohawk Trail, along with brief informational or historic descriptions. 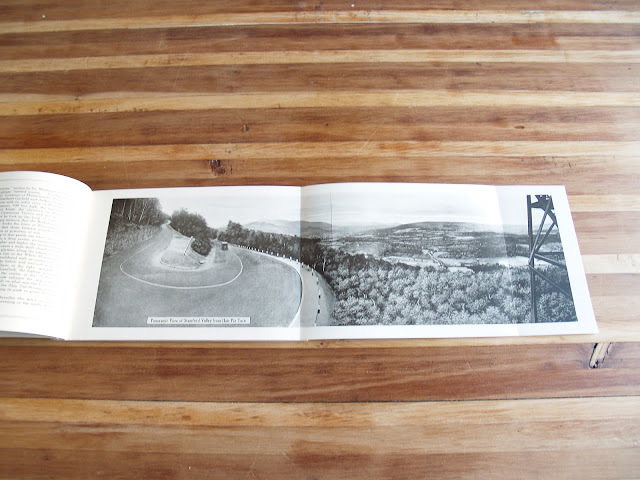 Includes a fold-out panorama of the Stamford Valley. 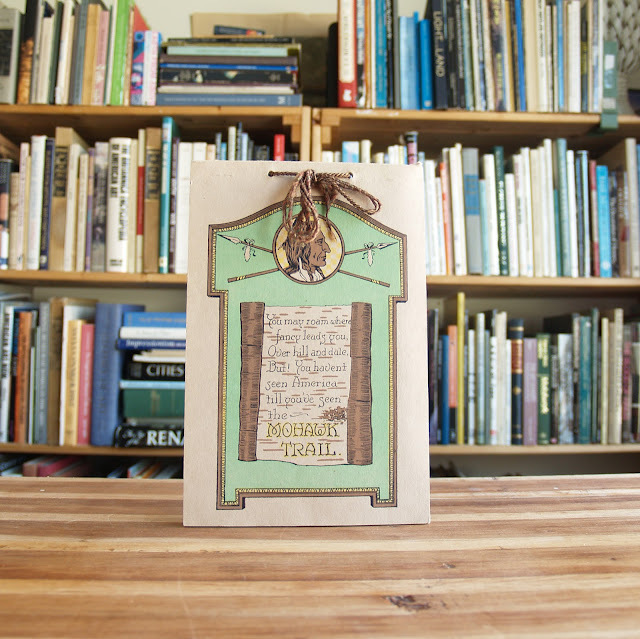 62 pages; 9"x6". Some light soil, a few creases. Generally clean and crisp. The Whitcombe Summit Co., Inc.